The last few Nintendo trailers are trickling in, and this time Mario & Luigi: Dream Team takes center stage. There are mountains of Luigis, kaleidoscopic landscapes, and other assorted nonsense. Check out the psychedelic madness below. Mario & Luigi: Dream Team will play similarly to previous Mario & Luigi games, but this time Mario will also be delving into Luigi’s subconscious. 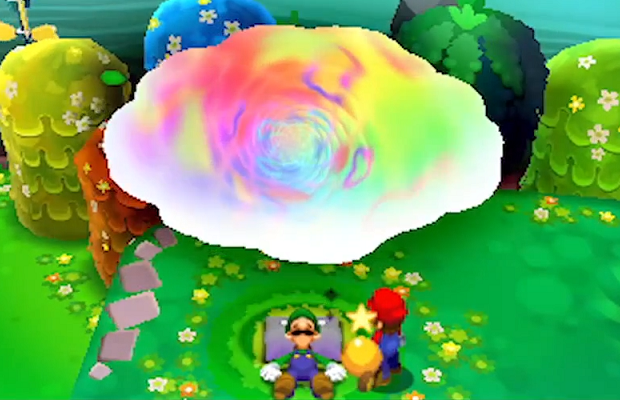 While inside the various dreams, Luigi will be able to merge with objects in the environment, which will then be manipulated with the 3DS’s touch screen. Mario & Luigi: Dream Team is exclusive to the 3DS, and will hit Europe July 12 and North America August 11.